There is a stereotype on the world, that all hackers are Russian. Although that might not be the entirely the truth, it is definitely true that the Russian cryptocurrency community has always been very active in the past years. Their affinity towards blockchain technology is continually growing in the past years, even though the government hasn’t been too supportive about bitcoin. The daily trading volume of RUB/BTC is about 15-17k BTC per day. This represents 10-12% of the total bitcoin trading volume across the globe resulting Russia to be one of the biggest cryptocurrency markets on the planet. Most of the RUB/BTC trading is coming from Local Bitcoins trading platform, about 70% of the total trading volume. The additional 30% market share belongs to Exmo, the biggest Russian cryptocurrency trading platform in the country. The Russian ruble is the official national currency of the Russian Federation. 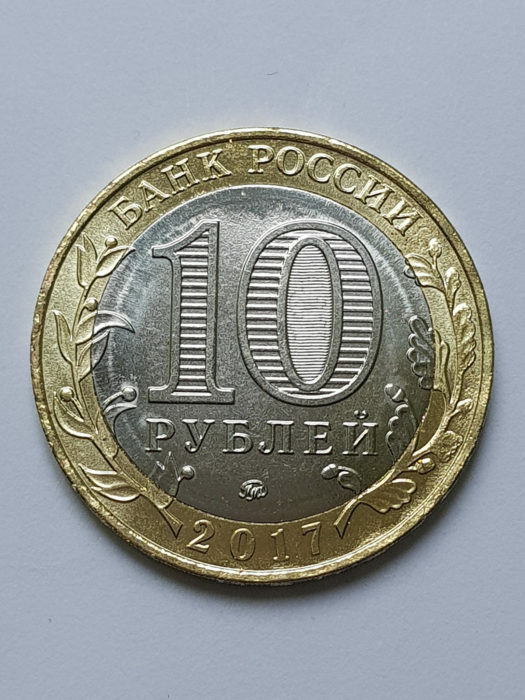 Today, although “RUB” being the official code of the Russian ruble, the code “RUR” is still widely used. 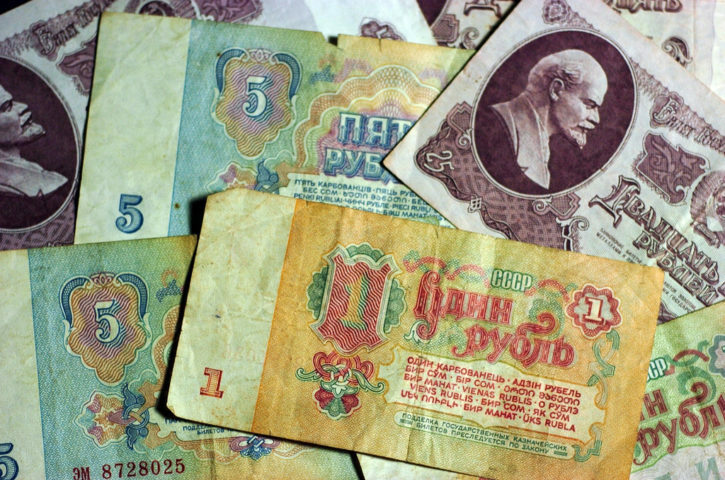 RUR was the symbol of ruble before the 1998 financial crisis. 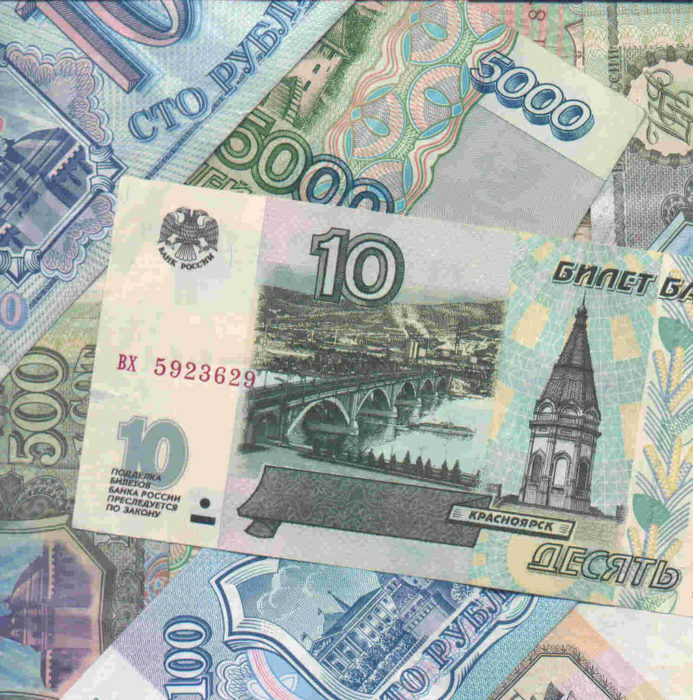 The use of other currencies for transactions between Russian residents is punishable, with a few exceptions, with a fine of 75% to 100% of the value of the transaction. The Russian economy went through a couple of crisis in the past 20 years which caused significant volatility in the currency market and inflation of the country. 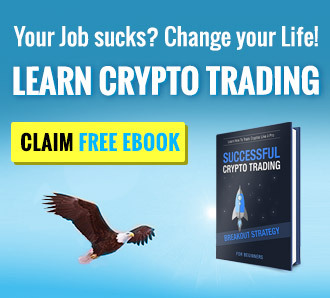 Localbitcoins is considered as a most popular exchange to trade RUB against bitcoin. The trading volume of RUB/BTC consists of 25% of the total Localbitcoins market share. This is probably because in the past years, bitcoin was in the gray area in terms of legality in the country and Localbitcoins offer a kind-a-anonymous option to purchase bitcoins without verifying the identity of the users. The biggest trading platform is Exmo, where you can buy or sell bitcoin for RUB. Although they now have a headquarter in England, Exmo serves as the largest platform for RUB/BTC trading. Additionally, to them, you can also trade bitcoin on Cex.io, CoinMill or Coinsbank in exchange for Russian ruble. Russia had previously banned the use of bitcoin, but as of November 2016 declared, bitcoins are “not illegal” according to the Federal Tax Service of Russia. In the middle of 2014, the Deputy Finance Minister Aleksey Moiseev told journalists in Moscow that they were planning a ban on bitcoin by the end of that year. The hostile environment on bitcoin has been developed in the country as that time bitcoin was assumed as a currency used by cyber criminals. Then something changed in the beginning of 2015 and The Bank of Russia for the first time started to be more relaxed about cryptocurrencies. Russian President Vladimir Putin issued his first remarks on digital currencies in mid 2015 telling the nation that while the technology faces challenges to adoption, it couldn’t be dismissed. While praising the Bank of Russia’s advocacy against an outright ban on digital currencies, he also outlined a number of issues, including the fact bitcoins are “backed by nothing”. During 2015-2016 the Russian government has been closely monitoring other countries’ practices dealing with cryptocurrencies and blockchain technology as a whole. In March 2016 they have issued a draft version of the strictest cryptocurrency regulation in the world. With dreadful sentences up to 7 years in jail or 2.5 million RUB fine for transacting with bitcoin. After severe criticism of the proposed rule, the bitcoin ban has been postponed. And during the summer of 2016 the regulation started to be easing in the country, but still remained in the grey zone. During 2017, the government started to regulate bitcoin transactions by proposing KYC and AML regulation related to bitcoin transactions. Moreover, the Central Bank of Russia announced that they are researching the possibility of issuing their own cryptocurrency in the future. Russia is now planning to legalize bitcoin and cryptocurrencies for 2018.